Soap Box: Different companies have been delivering soaps in different packaging. Initially, the soap companies used to deliver the soaps in thin paper packing, but now things have changed. Attractive product packaging attracts more customers than an ordinary stuff. The Soap boxes are getting popular these days and they are easily available online and in local stores. The box not only holds the soap, but it also promotes the brand name, so the soap companies want to have stylish boxes for their products. The soap packaging comes up with brand name and logo, or sometimes it's just the name and rest is a beautiful design. The boxes are divided according to the soap size, shape, color, style, and the brand. Sometimes the soap category is also an important factor that affects the packaging. Different soap types include the novelty, luxury, cleaning soap, kitchen soap, guest soap, medicated soap, laundry soap, beauty soap, opaque soap, perfumed soap, and transparent soap, etc. Designers use the PMS and CMYK technology to create superb color schemes. The boxes are available in different finishes, including the matte, glossy, embossing, de-bossing, spot UV and different foiling in gold and silver. Some soap companies don't want any printing so the requirement determines the overall design of the Soap box. Why Are Soap Box Important? The soap will lose its qualities if you don't pack it properly. 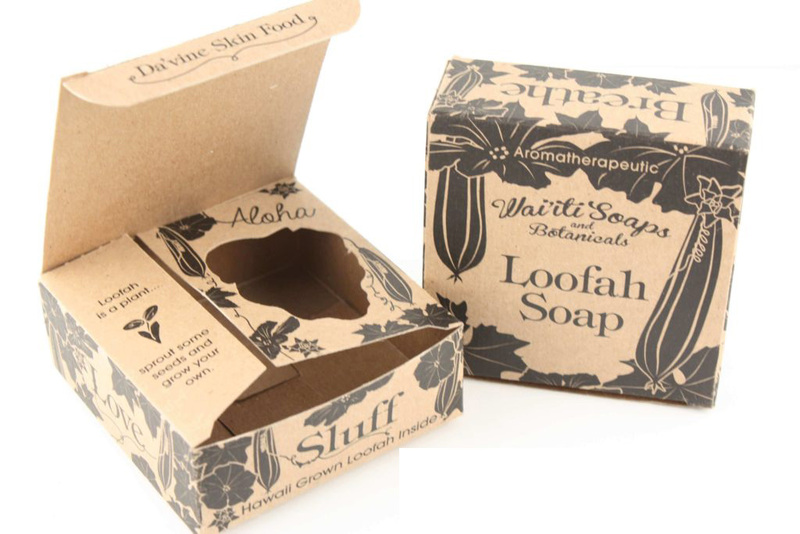 The boxes not only attract customers but keep the soap safe from any damage. Soaps often come with specific fragrances and the right packaging trap the soap scent, maintaining its worth. Heat also affects the soap because it can melt fast, and the box prevents the soap from melting. In other words, you can say that the soap box protect the soap shape and size; eventually the soap company and the retailer will not have any loss. Even if the retailer keeps the soap in an air-conditioned environment, the heat can affect it during product transfer from a warehouse to the shop. A well-designed box will keep the soap fresh for months. If you leave a window in the box, it will help customers see the soap without opening and such packaging will attract more people towards it. Another benefit of the boxes is that you can gift the soap to your beloved friend or a family member. People never had an idea that they could gift the soaps but the stylish boxes have made it possible. You can also add up your own creation in the box to make it more a gift box instead of an ordinary item. What Determines The Soap Packaging? Size and Shape: The size of the soap determines the soap boxes size and the same is true about shape. The round shaped soap needs a round box, whereas the rectangular soap needs a rectangular soap and so on. Soap packaging for standard sizes is already available but if you have unique soap shapes, you will need a custom-made box. The packaging company has special designers to create the boxes according to clients' requirements. Soap Packaging Color: Most of the time, the color of the soap and the packaging is the same, but you can also keep them different by using a color combination. There should be a unity in colors if you use more than two colors. Only a good designer knows how to play with colors and create harmony in soap packaging. You will see lovely packaging colors, including the orange, yellow, purple, green, red, blue, and even white and black. Soap Boxes Style: The size of the soap determines the box style so you will see a variety of soap cases in the market. Different soap companies either develop their own styles or they get it done by a packaging company. You can add ribbons or flowers on soap cases to create a style. The font style and the design also make the box stylish. It's a common practice of attracting customers with stylish printing over the boxes. Recyclable Boxes: Nobody wants to pollute the environment and that's the reason behind Eco-friendly products. 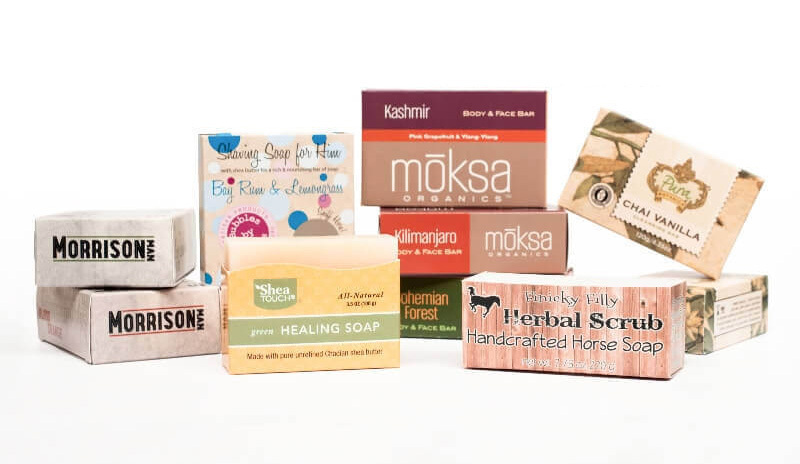 The box companies use the harmless printing materials to develop the eco-friendly soap boxes. While placing an order for soap packaging, ask for eco-friendly boxes to contribute to your environment. Only a good company knows how to make eco-friendly boxes, so choose it carefully. How Useful Are The Handmade Soap Boxes? Creation has no limits, and creative people often love experiments. You can also make your own soap box at home by using your creative talent. Some people make soap packaging at home just for fun's sake, whereas some others take it professionally and supply the boxes to shops or develop the customized boxes. Making a handmade box is easier but what about printing. A packaging company uses the latest digital technology for printing. You can make the soap box irresistible by creating the high-end boxes of striking colors.